That sounds Easy! I want free stuff! "That's so easy! I want free stuff"
The above statement has been said to me more times that I can count at this point. "How do you get all these products?" "Oh, I'm a blogger and I work with different brands, writing posts etc... on their stuff"
"Wow! That sounds so easy! How can I gt in on this, just start a blog?" As a blogger I'm sure you're asked how you do it, how you go about working with brands, how you write your posts, where inspiration comes from and so many more questions. I actually had a message in my inbox the other day asking if I approach brands to give me free stuff because they wanted to do it and even had the audacity to ask I write a Draft letter for them to send to companies for her...... MAJOR EYE ROLL HAPPENED. Now, I have no problem giving advice and helping other bloggers out because, well, we are all in this big pond together and if I can lend a hand, I will. But what I'm not going to do is tell you exactly what I say, who I approach or approaches me and how to "get free stuff" because Let's be honest, that's not how it works. Anyway, how many times has someone said to you that what you do sounds so easy and they want to do it to blag some freebies? If you're one of the lucky few who haven't had this happen, well done! You've talked to some pretty amazing people! But like many others out there I've been asked this by strangers I've met on nights out, at family functions, even my neighbours! Mainly it's been from people I've been to school with and met randomly and stopped to say hi, how are you and the likes. I don't know why it winds me up as much as it does if I'm honest. Maybe it's because it's not easy, blog posts don't take 5 minutes. A lot of people this that it's as simple as writing a post, hitting publish and that's it, NO! You have to try the products (if that's what the post is one) and you have to write about it, promote your post and more. So much is involved with the whole blogging thing. You also can't start your blog on a Monday, get a free product come Tuesday and write a post on Wednesday. It doesn't work like that at all. You have to build yourself up, brand yourself. It's a lot of work and it's time consuming to say the least. But most of all, you have to ENJOY what you're doing. If you don't enjoy it, it shows in your writing. People can tell the difference between a structured and regimented post and a natural, flowing post. Showing personality is key and I'm sorry, if you're not enjoying it then why are you even still doing it? I just get annoyed when I put so much work into what I do, watch my blogging friends put in the hard work to then be told "that sounds easy" no, no its not. And I'm not doing it for free stuff either. I started my blog with nothing, sharing posts and reviews about products I loved and I'll continue to do so. I also don't take everything I'm offered, I go with what I feel fits me as a person and my blog. Is this something that annoys you as a blogger? Let me know in the comments. I bloody hate this too! And yes I'm still sitting here with my jaw on the floor after reading that somebody asked you to draft a letter for them! Cheeky sods. LOVE this!! My friends always say the same, wow you get all this free stuff and just have to write a tiny little blog post? How about the "tiny little blog post" takes me a good few hours to write and edit and make sure it is done to the best of my ability. Add on another couple of hours for the photos and the editing and making sure those are up to the best standard possible. Add on a LOT more hours promoting that post, sharing across social media and adding to linkies. When you look at it that way, a "freebie" isn't free at all! Over the years I have come to terms with the 'free stuff' comments from non-bloggers. What I can't abide by is when brands say this to me. I politely point out exactly what a single blog post entails from the time spent looking, reviewing and photographing a product. The editing of photos, the writing and editing of the review. The publishing and social media promotion. Not to mention ensuring the correct SEO... all for something free! My blog is a way to spread a message about inclusion so this isn't something which is likely to happen to me. I am in a bit of a niche, but I know from writing my own blog that every post takes a lot of time and effort. So True. I am surely agree with you. Its not easy stuff as it sounds. the "stuff" is never free.. you work blinking hard for it... it takes me 2 hours to write a review post!!! This is my biggest pet hate ever!! I have had so many people say to me, 'Oh, I'll have to start a blog and get loads of free things like you do'. No. not that easy at all. I have my blog as my full time job and I have been doing it for over 5 years now, but I didn't get any 'free' stuff until I was 2 years into it. YES!! I too hear this all of the time. Personally, I refuse the random free things nowadays, as I just don't have the time to devote to writing about something that I didn't need in the first place; feeling that obligation to PR's and brands meant that I stopped enjoying blogging and found it really tedious. Now, I'm really fussy with my posts and my passion for it has come back. Great post. Hell yessss!! 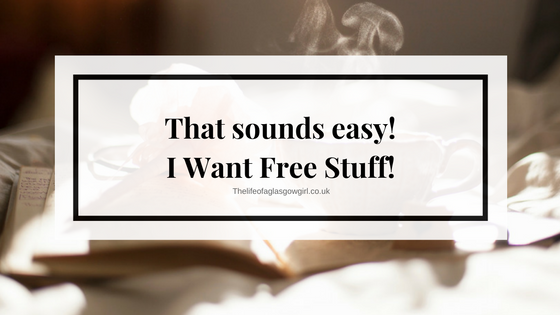 It isn't as easy as just free stuff, blogging is so time consuming! I also hate how brands only accept bloggers with a lot of followers rather than the quality of posts uh its soo stupid.